How easy is it to pick up the phone and call the landlord to fix a broken appliance or clogged drain? Tenants love the ability to call their landlord to fix the problem. However, It’s not so easy when you’re the landlord. Do you have the best landlord insurance? Do you know the difference between landlord and homeowners insurance? If you own a rental property and are covered under homeowners insurance, it might not be enough. Owning rental properties comes with many risks, and basic homeowners insurance doesn’t suffice. 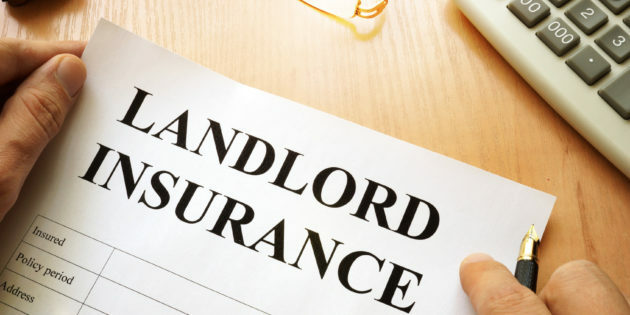 We put together 6 tips to help you find the best landlord insurance. 1. What is the Key Coverage? When you’re in the market for the best landlord insurance you must know what the basic coverage is. Sure, you might want to purchase additional coverage depending on your needs, but in the meantime, you need the basic. Property damage: Should your rental property suffer damages from vandalism, irresponsible tenants, fires, electric/gas malfunction, earthquake, and a few others specified in the policies. 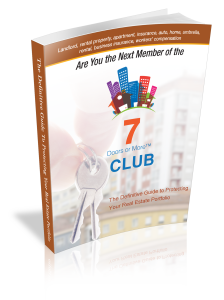 These issues should be part of your basic landlord property coverage. Loss of rental income: If by any reason you lose the income from the property, your insurance will have you covered. This protection will apply if your property suddenly becomes uninhabitable due to termites or other infestations, mold, among others. If your tenants need to evacuate the property due to mold, water damage, or fire, your income will be covered under this policy. You will still receive the rent income. Liability protection: This coverage will protect you in case you need to pay for medical and legal costs. If any of your tenants or visitors should get injured on your property, the insurance will cover the hospital bills and any legal bills. This is in case they file a suit against you. Basic landlord insurance will cover any damages done to the building. The structure itself is covered under the terms of the policy, but what about what’s on the inside of the building? Let’s say you rent the property furnished. What will happen to the furniture in case of a fire or there is a burglary? The basic building insurance won’t cover the losses to your furniture, but the contents insurance will. Landlords should also consider adding this extra insurance even if they don’t have furniture. The building is unfurnished so they don’t think of the extra contents. They still want to account for their appliances, light fixtures, any form of decorative objects, and curtains or blinds. Another tip is to obtain a coverage for the replacement cost or replacement value instead of actual value. Remember that the actual value will have changed over the years. Older appliances or furniture won’t have the same value if you try to replace them. You won’t be able to replace a stove for the price you paid for it 10 years ago. A claim for replacement cost will assure you’re replacing the exact item you lost. Landlord insurance considers a property unoccupied if no one has lived there for 30 consecutive days or more. After that point, your insurance will no longer cover that property because it becomes too risky. The property could be subject to vandalism, burglary, infestation, and other weather-related damage. Insurance companies will not want to pay for a damaged unoccupied property. If you know your property will be unoccupied for longer than 30 days due to renovations or switch of tenants, you should look into additional insurance. You probably don’t want to pay for extra insurance if the building is unoccupied and you’re no getting in income. The alternative could end up being more costly. 4. How Much Does the Best Landlord Insurance Cost? The best way to determine this number is to request a quote from your insurance services provider. Determining the exact cost will depend on how much insurance coverage you require. A more comprehensive plan can keep you covered from damages and liabilities, but it will be more expensive. You need to find a plan that fits your budget and matches the number of properties. A study conducted in January 2017 showed a rise of 1.1 percent in the homeowners’ insurance policies. Since rental properties have more risks for insurance companies, landlords can expect to pay 15 to 20% more for their policies. 5. Do You Know About Dwelling Policies? A Dwelling policy is a coverage that pays for rebuilding or repairing physical damage to the structure. There are 3 categories for Dwelling policies: DP-1, DP-2, and DP3. The DP-1 insurance policy is the most affordable and basic. Theft and vandalism are covered under this policy. Fires and damages caused by storms are covered under the DP-2 policy. All 3 are covered under the DP-3 policy, and it covers your property from all other perils unless they are excluded. If you wanted to buy the best flat screen TV in the market, you wouldn’t go ask the salesperson in charge of selling cameras. The same can be applied to buying insurance. Just because an agent sales auto insurance, doesn’t mean they are experts in landlord insurance. You need to find the right agent who is familiar with rental properties. The right agent will shop around for the best landlord insurance policy that fits your coverage needs and budget. Keep in mind they could also help you find discounts on your policy. If you own more than one property you may qualify for a discount. And if you take the right safety measures, such as alarm systems, locks, and others your agent can check for additional discounts. As a landlord, you know you have the responsibility to provide your tenants with a safe place to live, but you also need to protect your property. We’re here to help you do both. We hope all of the questions you had about landlord insurance have been answered. Learn more about our services or request a quote. Feel free to contact us at 888.644.6443 or fill our online form.